Thanks for coming, Rachel! Great memories. so take courage and do it. My mind and heart are busy tonight with what I suspect and hope God is doing in me. It's about something I do not like about myself. Something that holds me back. And I think He's pushing me out of my comfort zone, making me rather miserable, and peeling back another layer of me in order to rebuild. At least I pray that's what's going on. Otherwise, I'm just miserable and confused for absolutely no reason. And that's just depressing. I simply don't have the courage to tell you right now what God is changing in me. How He's growing me up. So I guess your imaginations will just run rampant with all of the wicked wildness that Sarah Wolf Fry might be harboring within her secret soul. Imagine away. It's really rather boring and normal compared to all of that, I assure you. So I'm reading good books and talking to wise people and praying that I will move forward and upward. I'll end this cryptic message with something we once heard the Reverend Leonard Sankey say that seems simply perfect for where I am just now. "You'll never change anything that you are willing to tolerate." "Dear Abba, please make this misery productive. Peel back my layers. Make me unwilling to tolerate anything that holds me back from what You want for me. And in your merciful wisdom, please help me to grow up as quickly as possible!" Grey skys, Naked trees. Cold wind. Winter-bare gazebo. Dogs curled together. Makes home feel so cozy. But also makes it more of a discipline to go out to feed said dogs. So many things. Lately? Especially the deep, quiet Rock of Peace. David being gone to Atlanta for ETS all week. So glad he decided to go. And so sad he'll be gone. It seems the most exciting thing I've made lately is homemade dogfood in the crockpot. Weight watchers reigneth in this kitchen, I'm afraid. Guess I have made a lot of homeade bread lately. That's yummy. And I got two new awesome weight watchers cookbooks on sale. That it's about time to get that Christmas tree up and get out the Thanksgiving stuff. In the middle of some brave re-decorating in the kitchen. Just imported FamilyLife's Thanksgiving: A Time to Remember from cd into iTunes. Been talking some theology with them. It is mind-boggling how much of our theology we get as very, very young children.....from children's stories, sermon illustrations, kid songs, teachers.... Theology is EVERYWHERE. David and I both have extremely keen interests in the theology our kids are ingesting. So very glad to have an entirely normal week ahead of me. Minus one husband, of course. I'm hoping to move some serious mountains. (Or at least keep any new ones from developing.) I love having a fresh, new weekly schedule printed out and laying on my calendar. I really love Mondays!!!! A whole week, fresh and new with a schedule and goals and blocks of time. 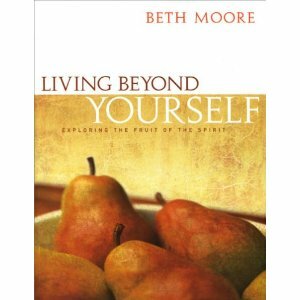 Living Beyond Yourself: Exploring the Fruit of the Spirit. For God's healing salve in the lives of those we love. ....Almost Winterized! I'm anxious to get the gazebo decorated for winter with lights & garland. Cull the boy toys. It's gonna be Christmas for Goodwill! Complete my Once Upon a Child and Consignment baskets and drop off in Lafayette tomorrow. Start.....the basement....? Not sure I'm that brave. Watching the baby drive trucks on the floor. Going shopping for clothes and actually liking it! Sitting on the couch by the fireplace watching the kids while they dance to Christmas music and do cartwheels. We've got some barking croup-like coughs going on. Not sure what that's about. Kayla - dancing around an asthma attack. ('Tis the season....) And I just found out this morning that the girls are into jump-roping at school. Caiden - He's generally so loving and compliant, it scares me when he chooses wrongly. But he has a quick and tender spirit. Keep busy with Him, Lord! Corin - my normally jolly, contented, laughing baby is still acting like a hormonal woman with gastro worries. I think a trip to Rosalind (natural health practitioner) is in order. AND...I think it's time to let him "scream it out" at night. I know better than to start this process before I'm ready. I think I'm ready now. Maybe. Lord, give me strength! Karissa - Drama Girl is delightful these days. And those outfits....wow. We call her "FunkyChick"
Keep things peaceful and productive with David gone. Projects, projects! A very happy addition to our home: The fireplace from Grandma's estate. It is the one we used to sleep by. Happy memories. Now it is a happy-memory spot for our family in Indiana. Mom and Dad brought it in their van to Cincinnati after the Estate Sale, then Travis played Santa again and delivered it to our door. The kids and I all worked together to put it together while David was at a competition in Michigan this Saturday. Happy days. After last night's revival service Kayla, Karissa and I practiced our simple violin/cello trio for another night. A sweet little guy (who I believe has Downs Syndrome) wanted to hold Karissa's tiny violin in the worst way. They tell me he had actually gotten hold of it back in the nursery earlier, but he had been cautioned by others and was now crying quietly as he sat in the second pew and watched us put away our instruments. His little heart wanted that violin so badly. I couldn't stand it. So we gave him a chance to play. The smile on his beautiful face was spectacular. He played his little heart out and then continued beaming as we clapped for him and put the violin away. It was really a treat for me to see. I never have understood this unbelievably vulnerable place in my heart for Downs kids. And God whispered to me about it this morning as I remembered the simple, overflowing joy it gave me to see him smile. I cry even now. He reminded me that this boy has no spectacular gifts or grades or accomplishments to bring to Him. But His joy in him is great and pure and everlasting. And just as I want to scoop up that boy and squeeze him and his smile is stamped in my memory, God's joy in me is not based on what I have to offer or how well I do. I pretty much had an "off" night at the piano last night (not that I'm usually particularly "on" but it was worse than usual). I want so badly to communicate God's beauty and joy and strength through music and when my weakness and failure gets in the way it is just so frustrating. God deserves better than my distracted fumbles. But He reminded me through that precious boy that there is such a leveling ground when we find ourselves in his love and mercy. Our "stuff" falls away. And all that is left is our heart and our smile towards Him. And He finds great delight in me. I thank Him for that boy. I have been posting from my mother-in-law's laptop, which strangely picks up internet all over our house. She is awesome. She has watched the kids, loaned me her laptop, did my dishes, folded my laundry, and is her quiet, steady, loving self. I've been looking out over the SNOW on the ground! Yay! There has been a significant amount of excitement in the Fry household yesterday and today over this early winter snow. We are planning our annual first-snow celebration today: Flurries at Dairy Queen!! We just opened some great envelopes of treats from my mom. There are great cries of jubilation over the McDonalds coupons for free ice cream, etc. My husband rocks. He's smart and handsome and helpful and loving and I'm just happy to be his. I have been pondering the blessings of friendship with God's people all over. I so enjoyed the short time I had with my Idaho friends 2,000 miles away - awesome, amazing people. 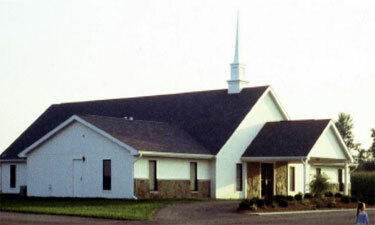 And now am enjoying fellowship with old and new friends at a church not far away. My time with the Youth of Lewiston, Idaho. God has spoken to me through them. I have laughed and cried and learned and been touched again. Love those guys and am praying for God's awesome blessing on their lives. What a privilege to talk with them. I am also so thankful for those random plane-meetings that are short but beautiful. The kind gentleman who gave me a starlight aerial tour of his Salt Lake City. The wonderful family of 5 1/2 with kids our kids' ages....on their way to Disney World and the brief encounter with the kindred spirit mother who I know would be a dear friend if we actually knew each other and didn't live 2,000 miles apart. God's people are everywhere. A brief encounter with a down syndrome boy last night at church that is stamped on my heart: It became its own post, as well. My Grandma Parsons. She's dancing in heaven now. Thursday as I taught lessons, Jonelle Barnard and I were practicing our recital duet. When we got to "I'll be Home for Christmas" I lost it in tears. My heart went to the estate sale going on at 8400 Foster Lane in Overland Park........I can tell this one's growing and the dam will break and I've too much to say here. This peace. This knowledge that I am His and He is mine. This deep-down rock. No other blessing compares. I relish it. Thursday: Started teaching day at 8:30 (with the boys in tow! ), laughed and accepted when Mrs. Coleman offered to let the boys (1 and 4) stay in their classroom when I left for my second teaching location. She's awesome. Finished teaching at 3:00. David was home from Aldersgate, had picked up the kids and was practically in the car ready to go when I got home. Rushed to the airport. Walked in and started using the self-check-in when they evacuated the entire Delta section because of an abandoned bag. Stood around forever with dozens of people, watching the bag sit mysteriously in the middle of the airport while all of our flights took off without us. I found out my flight had been cancelled anyway due to "mechanical problems". After the bomb guy came and checked out the bag we all crammed into lines. An older "gentleman" got ticked because in the crowds some of us inadvertantly got into his beloved Sky Advantage line. I humbly moved to another enormously long line with the other cancelled-flight victims to await the great Delta agents' help. Amazingly, they got me a flight for the next morning (6:15 departure) that would get me to Lewiston Idaho by midmorning on Friday! I went back home, went to bed and slept a few minutes. Sunday: after our morning session and delicious lunch, we piled onto the boat and headed back to Hellar Bar. After gathering my thoughts for the evening service and practicing a duet with Tyrel Dayton (the boy can sing!) we headed to the Sunday Evening service. It was so good to be with those wonderful people again and see what God is doing for their church. I thoroughly enjoyed visiting with some of the couples after the service before grabbing a few hours of sleep. Monday: 4:00 am came quickly and I discovered that tiny Idaho airports are very serious about their security! I have flown a lot, and I beep pretty much every single time I go through a metal detector, but I have never EVER experienced a "pat" down like Lewiston Idaho.....I felt positively violated. After searching my bags and running them through x-ray twice I boarded that now-waiting plane. I had 3 flights, 4 airports on Monday - making it to each one just in time to board with very few minutes to spare. I arrived back home at about 6:30 that evening to a houseful of up-chucking children. But it was oh-so-good to be home to my handsome hubby and jubilant kids and squeezable, kissing baby. Tuesday: I did mountains of sick-kid laundry and dealt with baby diarrhea. Tuesday is a blur in my memory. Friday: I did house cleaning, ran errands, and came back home to get everyone ready for Revival that night. I do not understand the mysteries of such things, but all four of our children decided to have TOTAL meltdowns at that time. Tears and grief and agony beyond comprehension as we dressed and combed and practiced. There was a very happy break in the weeping and wailing when it started really snowing outside an we took a break to go outside and celebrate. We have been thoroughly enjoying the ministry of Rev. Richard Miles during the revival and the fellowship of some wonderful people. Saturday: I have been attempting unsuccessfully to have a little quiet mommy-time this morning. I wish I had a dollar or ten for every interruption I've had during the writing of this long and boring post. My goals today are: prepare Saturday night and Sunday night Revival clothes for this family of 6. Teach a make-up lesson, upload Wedding pictures, finish editing and making discs for another wedding, put the finishing touches on revival music, figure out a way for David and I to do our Long Run together today without the kids (or maybe just pound out an hour-and-a-half on the treadmill? ), and be sure everyone has at least some bowls of cereal to eat throughout the day. Oh. And maybe some basic dishes and laundry. Huh. Wonder how much of that I'll accomplish today. Right now I'm considering sliding my freezing toes back into the warm covers and disappearing. My normally laughing, jolly baby is a cranky, pooping grouch. The kids are taking turns making verbal jabs at one another and wailing (thus needing the patient, firm & gentle training of their wise, well-rested and inspired mother). Yes. Well.